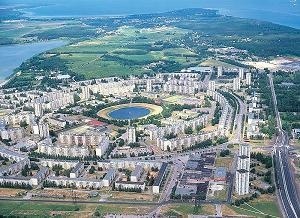 The heart of the district is the residential area consisting of the big panel houses of Väike-Õismäe, which were mostly established in the seventies. Lake Harku and an extensive beach area at Kakumäe and the Kopli Gulf lie in the boundaries of the district. Since the natural advantages are good and most of the territory has not been used for building, new areas of small residential buildings are planned for this district.